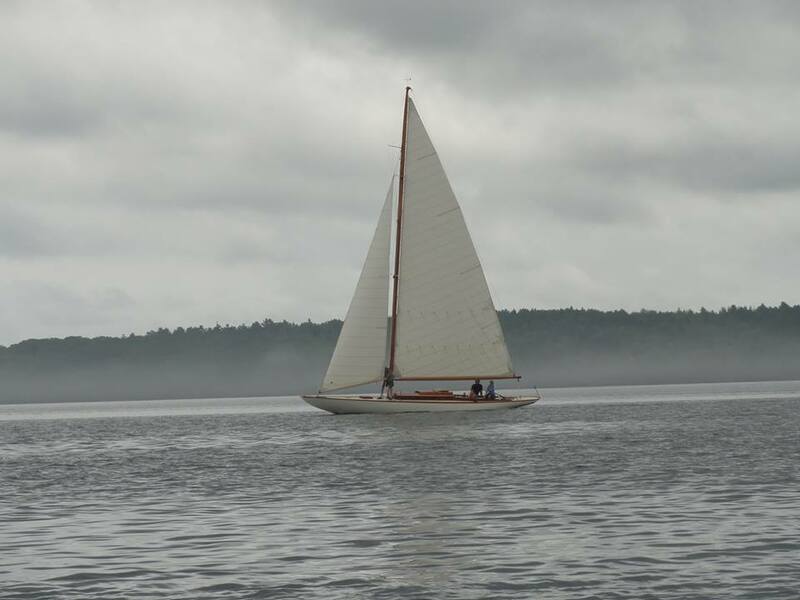 July 22, 2013: Launch Day. 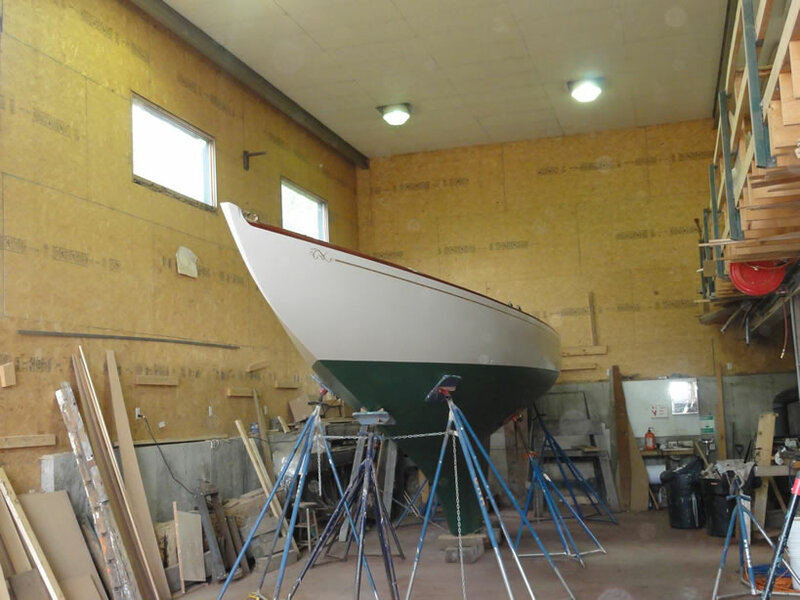 In the shop, PENOBSCOT waits patiently for launch. 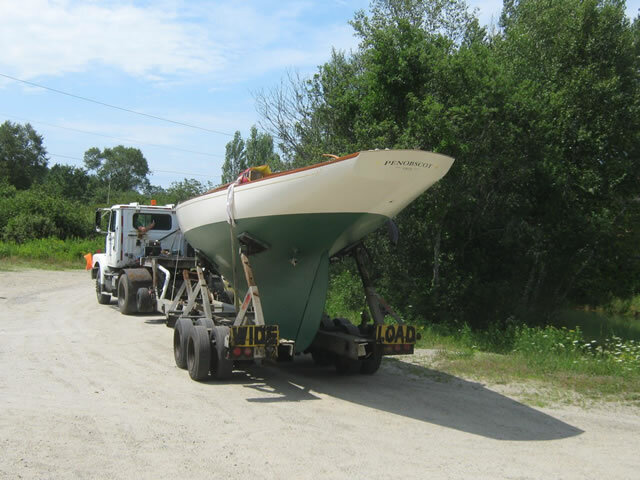 Here she is on the truck, ready to head down to the launch ramp. 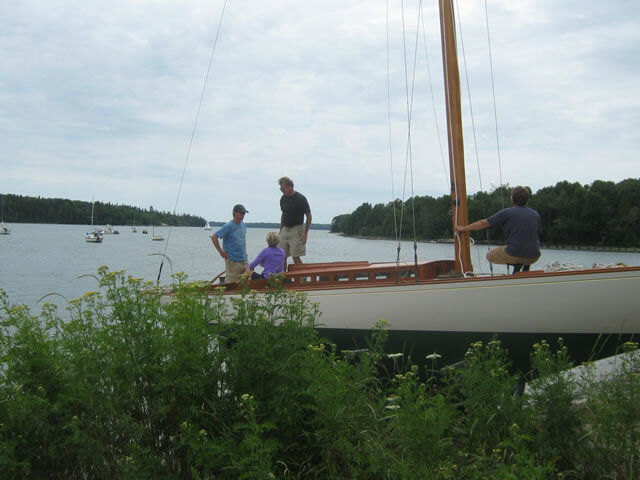 Just prior to launch, the owners confer with Ellery about final details. 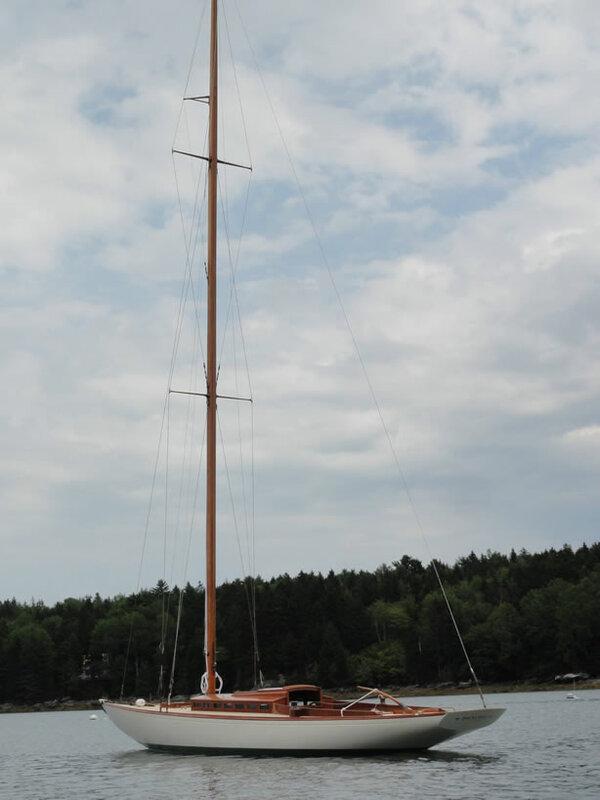 At her mooring, just after launch. 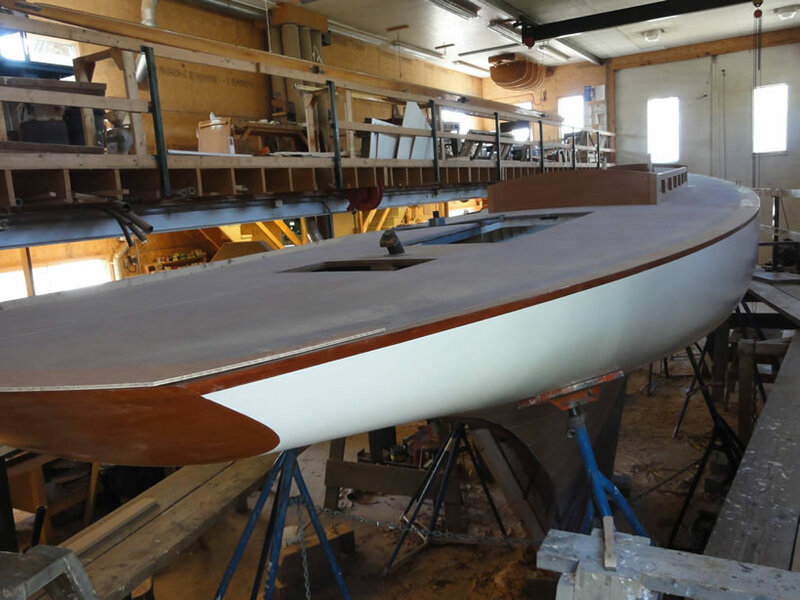 More photos of this restoration are available at our Facebook page. 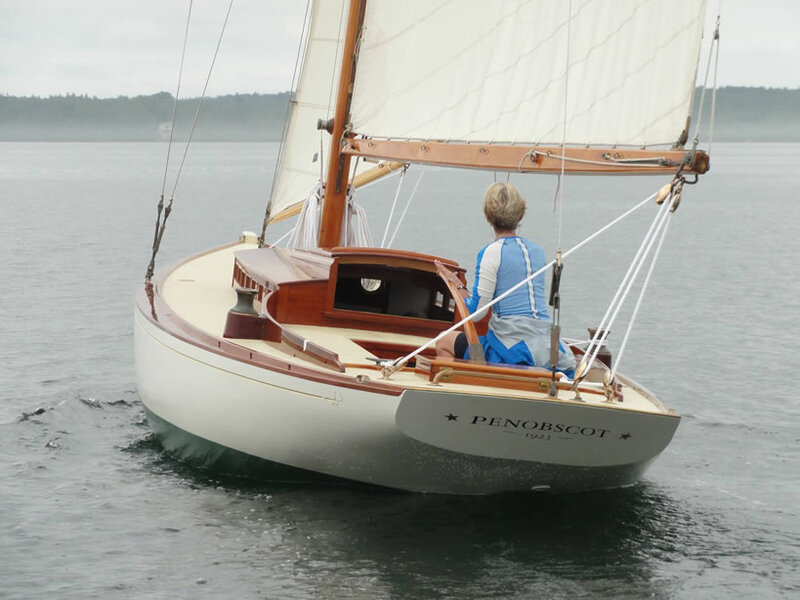 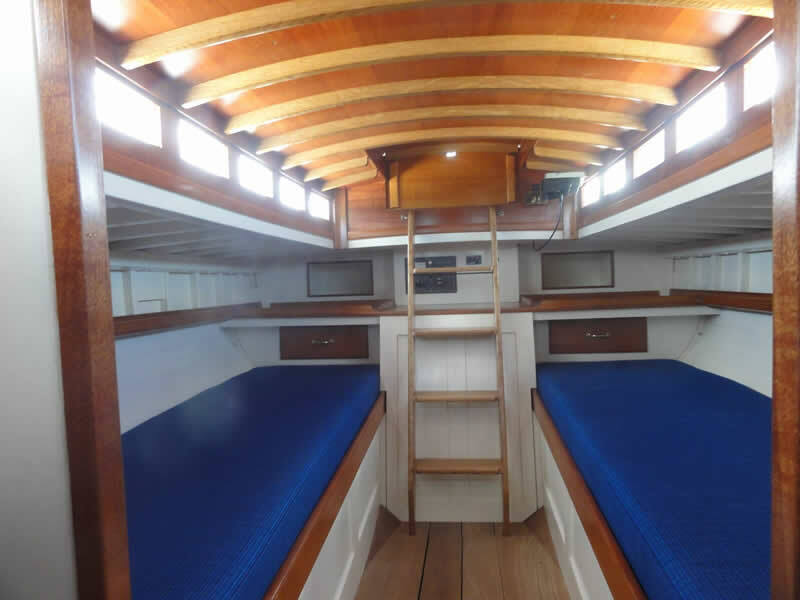 PENOBSCOT is an R-class keel sloop designed by C. D. Mower and built in 1923 by Hodgdon Bros. She has been completely restored–both structurally and cosmetically–in our shops.